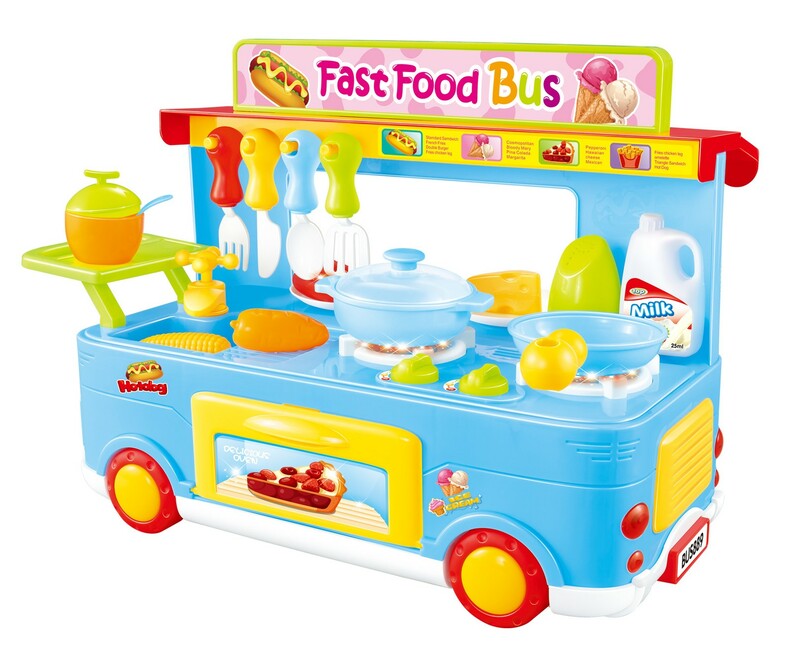 Master Box Dimension : 25" X 20" X 14"
Kids can now manage their very own fast food trucks that comes with plenty of cooking utensils and play food. Truck provides portability and can be moved around with the wheels. 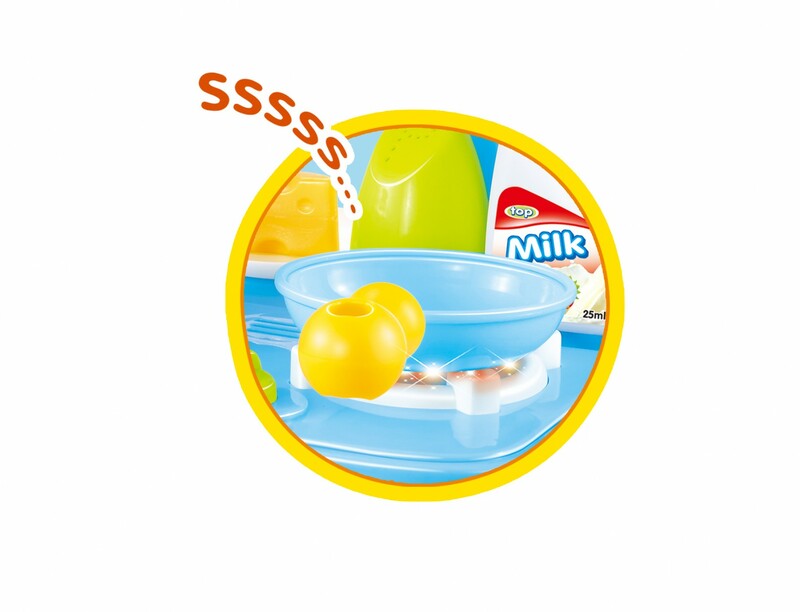 Children will have fun making their food for their customers and enjoy the realistic cooking sounds of the stove (Requires 3 x "AA"). Food can be stuffed in the oven be pretend baked. - The truck can be pushed around with the wheels attached to the bottom, so enjoy taking it indoors or out. 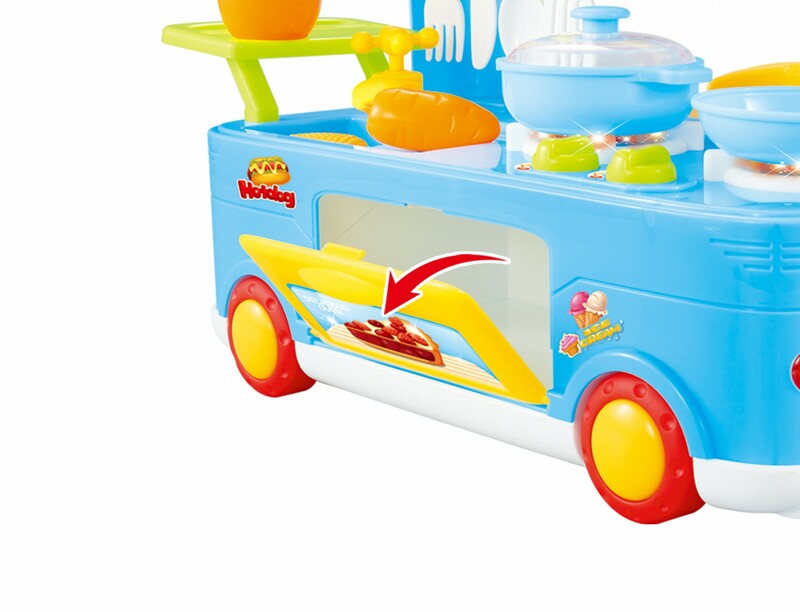 - Kitchen accessories that are included: forks, plates, stoves, food, and more. 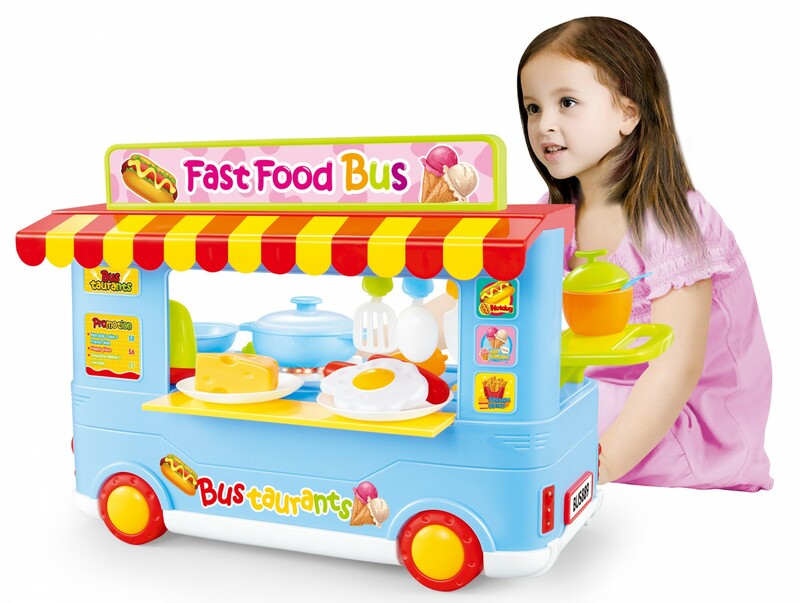 - Oven can be opened and food can be stuffed inside of it.